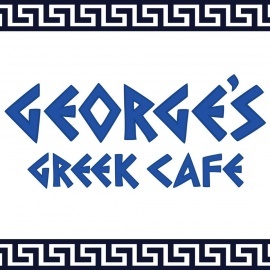 The Loizides family wishes to welcome you to “a little piece of Greece in Southern California!” George’s Greek Cafe has expanded from its humble beginnings as a delicatessen into three full-service, family restaurants in Downtown Long Beach, Belmont Shore and Lakewood. We also have a convenient location in the Long Beach Airport and our mobile kitchen allows us to bring the George’s dining experience to you, wherever you are. George’s has remained a favorite among the locals for a few reasons: Our promise to provide fresh, delicious meals in a fun, relaxed atmosphere being one of them. "A Little Piece of Greece in Southern California"